You've probably heard about CBD, or Cannabidiol, a cannabis compound boasting significant medical benefits. Research on the safety and efficacy in pets is still in its early stages according to Dr. Joe Wakshlag. He'll help us parse out all the claims and navigate the double-talk. Pet owners are being asked if, and why, they include their cat or dog in selfies posted to social media as part of new research into our relationships with our pets. Dr. ... Más informaciones Lori Kogan, of Colorado State University, said the study indicated 50% of pet owners had their pet as their feature photo on their devices and that behavior offers insights into the close bonds between people and cats and dogs. New data from USC’s Annenberg Center shows that on average Americans spend nearly 24 hours per week online. Research suggests that pets may get anxious and even depressed when we spend too much time on our smartphones. 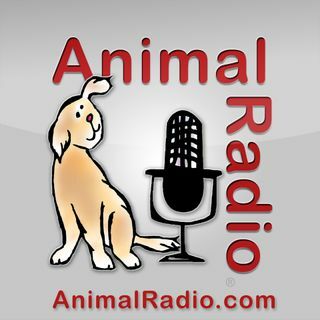 “The worst thing you can do when your dog has been sprayed by a skunk is to use tomato juice.” That’s according to Animal Radio’s very own “Dogfather” Joey Villani. Besides not being effective, it’s also pretty messy. But fear not! Joey has the perfect recipe of household products to fix this smelly problem. Leanne Lauricella gave up her NYC corporate job, traded in her Mercedes for a pickup truck, and decided to care for handicapped goats. She’ll never look back! She says it was the best decision ever. She has taken-it-up a level by integrating her love for goats throughout social media. The Goats’ newfound online fame landed them on Rachael Ray. Leanne has even published 6 books. Authorities in Kansas City, Missouri, discovered an unexpected occupant when they went to evict a man from his grandmother’s home. Inside the home, police found a 7-foot, 200-lb. alligator. The grandson said the pet gator was only 15 inches long four years ago and grew bigger over time on a steady diet of chicken nuggets. He added the alligator is afraid of the dark and thunderstorms.